Could targeted scare tactics be the next big conservation tool? On a series of islands off the west coast of British Columbia, raccoons gorge on a crab buffet. They live—and dine—with few predators and seemingly without fear. And while the raccoons thrive, the crab population takes a dive. In an experiment that seems to confirm what dictators have been preaching for ages, ecology PhD student Justin Suraci has shown that—through the power of fear alone—he can radically temper the raccoons’ freewheeling ways. Last century, the islands’ cougars, wolves, and bears were driven out. Today, the raccoons’ only real threat comes from the errant dog. As a result, these normally nocturnal predators spend their days and nights in the shallows. Free from the fear that normally keeps them in line, these raccoons are decimating the local red rock crab populations. Suraci and his colleagues set up speakers that intermittently played recordings of barking dogs. This illusion of a predator in the distance seemed to put the raccoons on edge. The team found that during the course of the month-long trial, these once voracious raccoons spent 66 percent less time eating than they did before. This had a huge effect on the raccoons’ prey: there were 97 percent more red rock crabs in the intertidal zone on the beach where the team played dog barks than on a second beach where they played the non-threatening sounds of harbor seals. Suraci’s study was mostly a proof of concept: “We’ve provided the first actual demonstration that fear can affect entire food webs in a wildlife system,” he says. But the results hint at something larger: a new approach to conservation, where wildlife managers use fear to control the behaviors and abundances of problem species. The ultimate solution to restoring balance in an ecosystem, Suraci insists, is to reintroduce native large carnivores. But there are places where reintroductions are unlikely. Scientists can extoll the importance of large carnivores until they’re blue in the face, but look at how people react to cougar sightings and it’s clear the big cats are not welcome in our neighborhoods. Bridgette Farnworth, a PhD student at the University of Waikato in New Zealand, poses another reason large carnivores are not always welcome. She says New Zealand is overrun by introduced mammalian predators, and they are a huge problem for the country’s native birds. Cats, rats, mice, stoats, ferrets, and others are plaguing the country, and introducing even more predators to keep them in check is out of the question, she says. New Zealand has built fence-ringed wildlife preserves and waged a veritable war on mammals, but some species, particularly small and nimble ones like mice, have proven elusive. So Farnworth is studying whether she can use fear to keep mice in line. In a small experiment, Farnworth showed that both captive and wild mice will avoid foraging in an area that’s bathed in light. Being in the light means that mice are more visible to predators, and, Farnworth suggests, has led to a learned avoidance behavior. Though she hasn’t tested it yet, Farnworth thinks that lights could be used to stop mice from moving through protected areas. Fear is a powerful force, and a potentially powerful conservation tool. Without killing or removing any of the raccoons, Suraci was able to significantly reduce their toll on the crabs. But he doesn’t think that conservation based on fear could be maintained long-term. Instead, Suraci suggests that fear could be a tool to be deployed tactically—say, to protect a threatened bird during nesting season. Though Suraci and his colleagues ran the speakers playing dog barks on and off for a month, with the raccoons apparently staying “just as scared on day 28 of the treatment as they were on day one,” he doesn’t think they could keep it up forever. 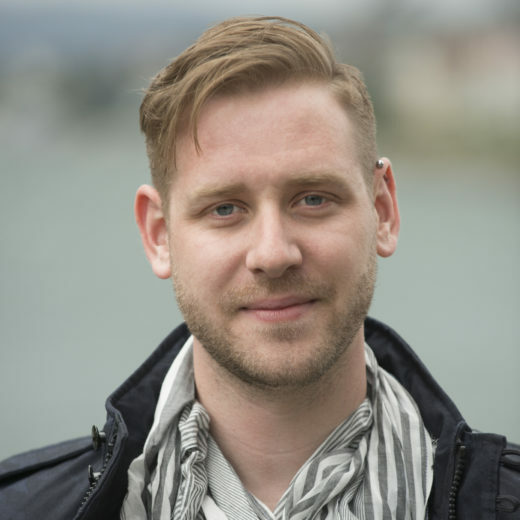 Colin Schultz is the news editor of Hakai Magazine. Before joining Hakai, Colin wrote for Smithsonian Magazine's Smart News, and was a contributing writer and editor for the American Geophysical Union's newspaper Eos. His freelance writing has appeared online or in print for Popular Science, Discover, New Scientist, Scientific American and others. Colin lives more than 500 kilometers from the nearest coast in Toronto, Canada. Cite this Article: Colin Schultz “Harnessing the Power of Fear,” Hakai Magazine, Feb 23, 2016, accessed April 21st, 2019, https://www.hakaimagazine.com/news/harnessing-power-fear/. What happens when island raccoons live free of predators? A lot. And it’s not good. What island raccoons tell us about fear.